FLORENCE, S.C. — El Agave joined ambassadors from the Greater Florence Chamber of Commerce on Thursday to celebrate the restaurant’s new chamber membership with a ribbon cutting. The owners of Mi Tierra San Jose Restaurant opened El Agave – at 147 W. Evans St. – in September and have since seen increased traffic. Brenda Perez, who co-owns the restaurant with her family, said joining the chamber allowed the business to be a more involved member of the Florence community. Perez’s brother, Jose Jr., said the location was a great spot to put the new restaurant. “With Florence’s downtown growing, we’ve greatly benefited from being here,” he said. “We’re expecting a lot of traffic and for it to continue to grow. Brenda said the restaurant’s traffic started to pick up as of late. The menu at El Agave looks similar to that of Mi Tierra. The restaurant serves tacos, quesadillas, fajitas, burritos, chicken, steak, seafood and other authentic Mexican dishes. Brenda said that El Agave serves some special dishes, like fish tacos, that Mi Tierra doesn’t have on its menu. Both agreed that Molcajete was one of the favorite dishes among customers but said the restaurant has something for everyone. For more information, follow El Agave on Facebook or contact it at 843-472-5268. FLORENCE, S.C. – Bell chimes could be heard throughout the Waters Building in Florence Tuesday afternoon signifying the many donations being made to Pee Dee nonprofits for Giving Tuesday. The Eastern Carolina Community Foundation hosted a donation station at the Waters Building where representatives of nearly 50 nonprofits gathered to accept donations and educate the public on the services their organizations provide. Denise Howard, Giving Tuesday coordinator for the Eastern Carolina Community Foundation, said the overall goal of the event was not necessarily to raise a lot of money but to create a culture of giving in the Pee Dee and get people excited about philanthropy and encourage local nonprofit organizations. Manna House executive director Daphine Tedder said the current season is the busiest time for the organization to collect donations because after New Year’s, all of the “warm, hearty giving” stops. Tedder was one of several nonprofit representatives in attendance at the Giving Tuesday Pee Dee Donation Station. Manna House serves breakfast and lunch Monday through Friday to people who may need a free meal. Tuesday, Tedder said she was accepting anything she could get. “A smile, a volunteer, a check, it all works,” she said. Donations to Manna House will be used to purchase additional food and repair a faulty air-conditioning system so that people can be warm while they are served breakfast and lunch, Tedder said. 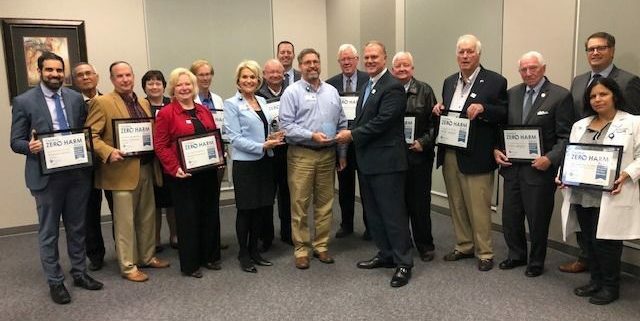 Vital Aging of Williamsburg County Inc. director Robert Welch said it is important for his organization and other Pee Dee nonprofits to showcase their work and how they affect lives. Harvest Hope Food Bank donor development director Nicole Echols said she thinks it is important for the community to be aware of all of the nonprofits that are in the Pee Dee and the hard work they do to support the community. Having nearly 50 nonprofit organizations represented in one place was terrific, according to Sherri Bender of Florence, one of the many donors who participated Tuesday. She said she attended a similar event at a different location but the atmosphere wasn’t as comfortable and congenial. Signature Wealth Strategies donated $500 to the Eastern Carolina Community Foundation during the Giving Tuesday Pee Dee Donation Station event. Scott Mitchell, chief investment officer at Signature Wealth Strategies, said the company has been a supporter of the community foundation since it started, and a lot of the employees are on boards that were represented during Giving Tuesday Pee Dee. 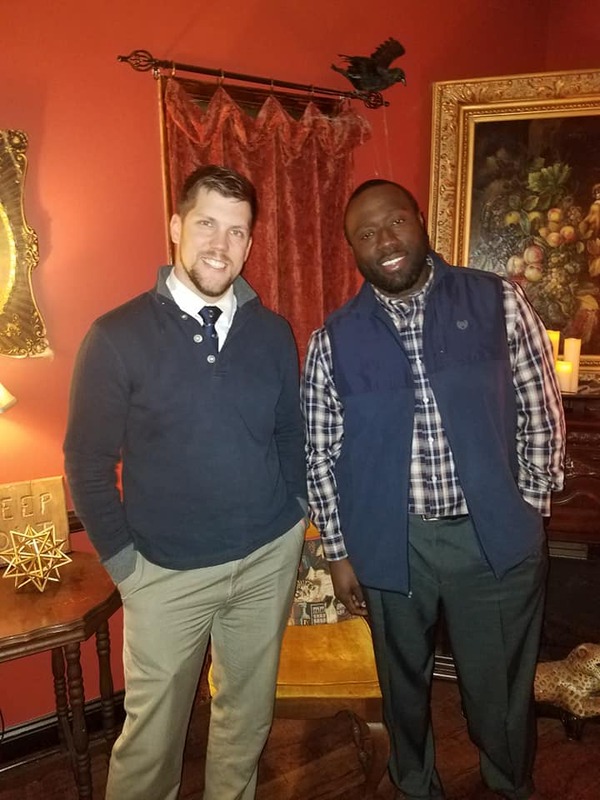 Eastern Carolina Community Foundation Board Chairman Tom Ewart said that without folks like those at Signature Wealth Strategies, Giving Tuesday Pee Dee could not have been possible. FLORENCE, S.C. – It’s Giving Tuesday, and nearly 50 Pee Dee nonprofits will be represented today at the Waters Building for the Eastern Carolina Community Foundation’s Giving Tuesday Pee Dee Donation Station event. From 3 to 7 p.m., people can drop by the Waters Building on Dargan Street in downtown Florence to donate to and learn more about local organizations, plus participate in activities. The First Reliance Bank cash machine is expected to be one of this year’s most popular activities. The machine will feature $250 from First Reliance Bank for guests to potentially grab and donate. The represented Pee Dee nonprofits will be will be accepting cash donations. Some will also accept tangible goods, including school supplies, dog and cat food, diapers, hygiene items and nonperishable food items. The Florence Little Theatre is one of the nonprofits that will be accepting more than cash donations. Jessica C. Larrimore, executive director at the Florence Little Theater, said the nonprofit will also accept costumes and items for props and set decorations. Larrimore said donors can also choose to designate how they want they monetary donations to be used; either for education or general purposes. “For us, Giving Tuesday is a way to get the community involved, to let them know what we do and that we do need their support, and to get that support from them through monetary donations or physical items they can donate,” Larrimore said. Participating in Giving Tuesday Pee Dee is also a way for the Florence Little Theatre to raise awareness about the need for the arts, Larrimore said. “We’re very thankful that they’re (Eastern Carolina Community Foundation) heading that up and creating that event,” Larrimore said. Donors who visit all represented nonprofits at the Waters Building will be entered into a drawing for $150 to give to the nonprofit organization of their choice. 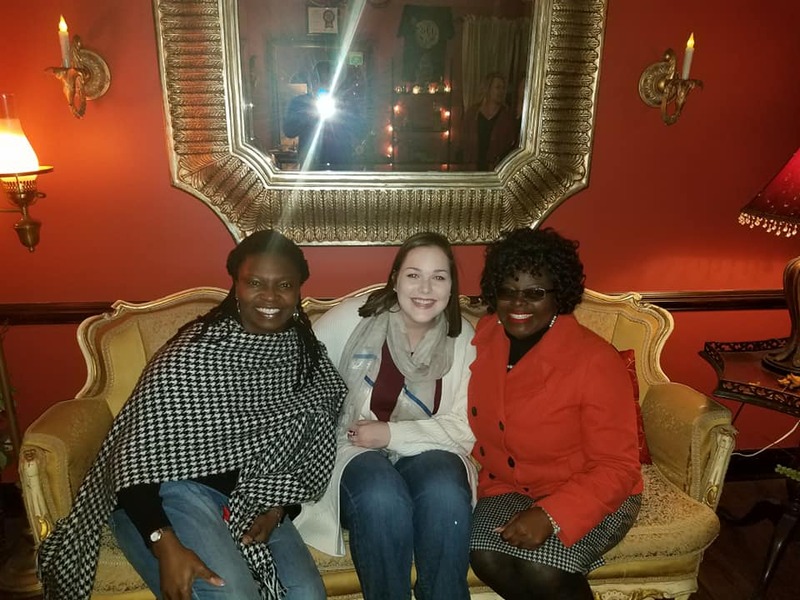 “The overall goal of the event is to not necessarily raise a ton of money but to create a culture of giving in the Pee Dee and just get people excited about philanthropy and encouraging our local nonprofits,” Howard said. 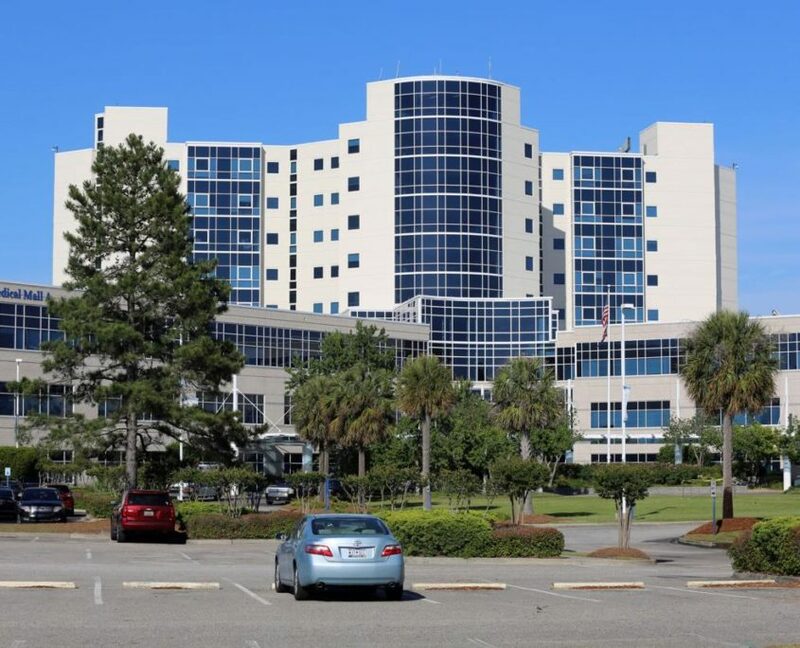 FLORENCE, S.C. — Two Pee Dee hospitals — and four South Carolina hospitals in total — have been sold to the Medical University of South Carolina, according to published reports. 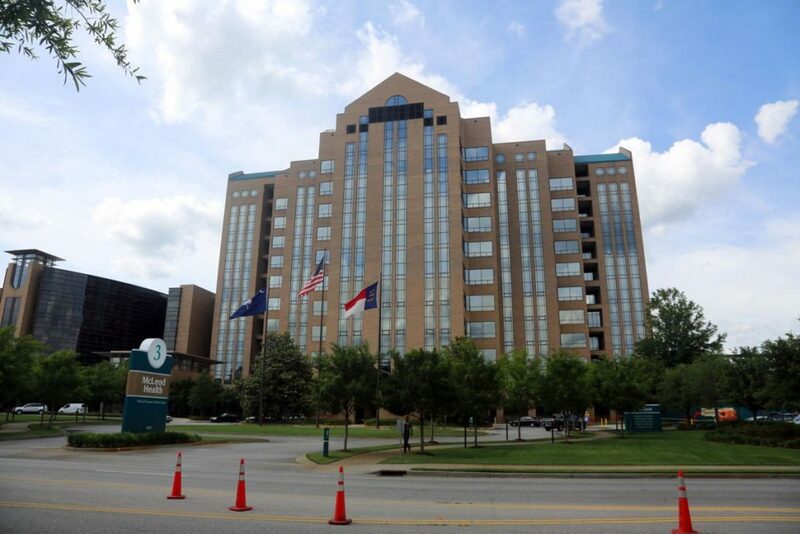 Carolinas Hospital System, a 396-bed, regional, acute-care facility, and Carolinas Hospital System Marion, a 124-bed acute-care facility providing a variety of inpatient and outpatient services, as well as a 92-bed nursing center, were purchased from Community Health Systems Inc. The purchase was approved during a MUSC Board of Trustees meeting Monday. The other hospitals purchased by the school include Chester Regional Medical Center and Springs Memorial Hospital. “MUSC Health is a high-quality organization and we look forward to working with them to build upon the experience and care we provide for patients. We are all focused on service to patients and offering the medical services needed in our communities,” said Vance Reynolds, chief executive officer, Carolinas Hospital System. “As the state’s leading academic health center, we must be prepared for the future,” said David J. Cole, M.D., FACS, MUSC president. “MUSC is committed to providing the best health care possible for our communities and state through strategic partnerships and our emerging MUSC Health network,” Cole added. In calendar year 2017, the four hospitals combined delivered care through more than 129,000 emergency department (ED) visits, 159,000 outpatient visits (excluding ED visits), 18,800 hospital admissions, and 339,000 clinic visits with physicians. Once the acquisition is completed, MUSC will employ more than 16,400 team members throughout the state. State health officials say the four hospitals have 715 beds. MUSC has 713 beds. “This transaction is the first time MUSC has acquired other hospitals,” said Charles W. Schulze, CPA, chairman of the MUSC board. 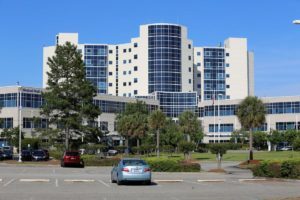 “The additions will increase the size and scale of the MUSC Health network, and in today’s environment, larger, more efficient health care systems can deliver greater value to patients and have a positive impact on population health,” he stated. “We look forward to welcoming the patients, families and employees of these hospitals into the MUSC Health network,” said Patrick J. Cawley, M.D., MUSC Health CEO and vice president for Health Affairs, University. “Through affiliations with other hospitals and health systems across South Carolina, and through our robust telehealth network, MUSC’s clinical outreach allows us to serve the citizens of our state no matter where they are. The purchase of these four hospitals is the natural extension of our mission to preserve and optimize human health in South Carolina,” Cawley added. Although MUSC is a state-assisted organization, state appropriations for the university and hospital authority are less than 3 percent of their combined annual budget. As a result, MUSC works diligently to fulfill its mission through prudent financial management, dedicated philanthropic support, and strategic business growth. Roughly 60 percent of all MUSC Health patient care revenues are generated from statewide communities outside of the Tri-county area, while the remaining 40 percent of patient care revenues are driven by services delivered within the Tri-county market (Charleston, Berkeley and Dorchester counties). FLORENCE, S.C. – Carolinas Hospital System (Florence and Marion) has earned 13 South Carolina “Certified Zero Harm Awards” from the South Carolina Hospital Association (SCHA). The awards are in recognition of exceptional performance for patient safety and prevention of hospital-acquired infections. Carolinas Hospital System-Florence is the only hospital to be recognized in seven different categories. CHS-Florence received three zero bloodstream infection awards: for 12 months in the Cardiovascular Intensive Care Unit, 12 months in the Surgical Intensive Care Unit and 18 months for the Medical Intensive Care Unit. The other four awards are for no surgical site infections (SSI): 58 months for knee replacement, 36 months for hip replacement, 18 months for abdominal hysterectomy and 12 months for colon. Carolinas Hospital System-Marion received six awards. In the newly created Methicillin-resistant Staphylococcus aurieus (MRSA) category, it received an award for 24 months zero harm and also 12 months Penicillin resistant. For SSI, the hospital received 30 months and 18 months for zero colon infections and 36 months abdominal hysterectomy. Finally Marion was recognized for 58 months of zero bloodstream infection. Since 2013, SCHA has presented Zero Harm Awards to hospitals that are on the forefront of preventing medical errors. By some estimates, medical errors are the third-leading cause of death in the United States, with an economic impact that could reach $1 trillion annually. Thanks to collaboration with The Duke Endowment and The Joint Commission Center for Transforming Health, SCHA and South Carolina hospitals have taken part in a statewide effort to create a culture of high reliability and reduce harm in our facilities. This effort implements robust, evidence-based practices that make a positive impact on patients and the safety and quality of care. Certified Zero Harm Award hospitals must experience no preventable hospital-acquired infections of a specific nature over an extended period of time. All hospital data used for the awards is independently verified by the South Carolina Department of Health and Environmental Control, recognizing the exceptional achievement the hospital or unit has made to the safety and quality of care within their facilities. According to Thornton Kirby, president and CEO of SCHA, the awards are all part of the association’s efforts to guide and support the state’s hospitals in creating a culture of “Zero Harm” by recognizing the efforts of the amazing clinicians who work every day to provide high quality care in South Carolina’s hospitals and health systems. 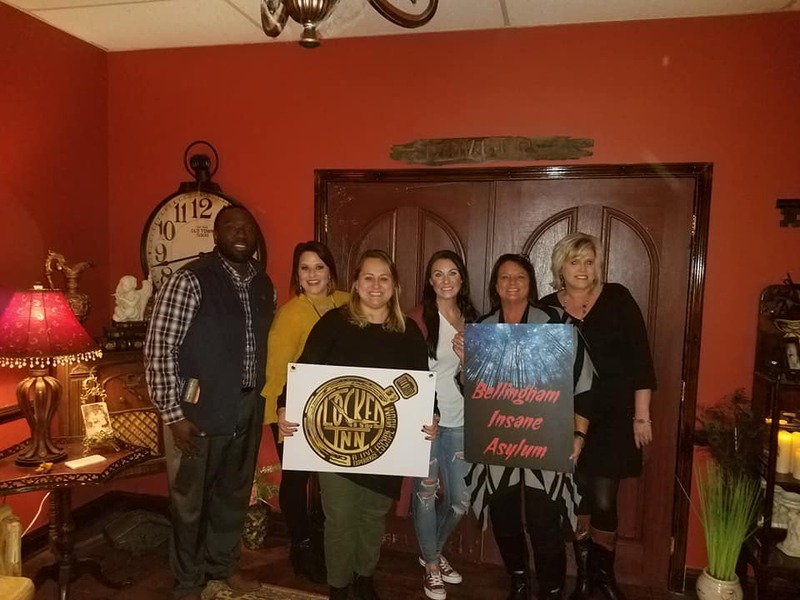 Leadership Florence visited Locked Inn – A Live Escape Room Experience as a part of their two-day team building retreat. 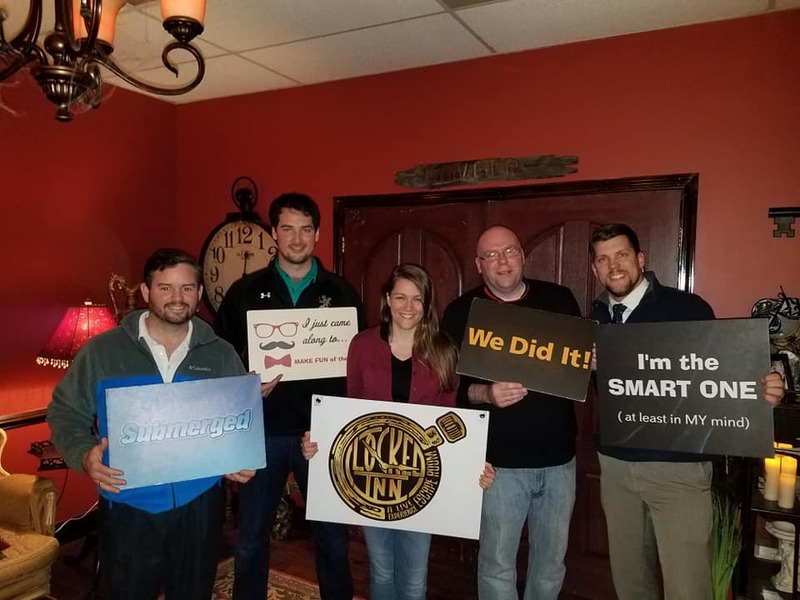 The class split into four teams and participants competed in a live action adventure game where they were “locked in” a room and had to use elements of the room to solve a series of puzzles to escape. Thank you to the Locked Inn team for hosting Leadership Florence! FLORENCE, S.C. – Christmas enthusiasts will ring in the holiday season this weekend at the Florence Center with the 2018 Jingle Bell Market. The Jingle Bell Market held its kickoff celebration Thursday afternoon with a ribbon cutting in conjunction with the Greater Florence Chamber of Commerce. Mary Hudson, the show manager, said she was excited to see the event kickoff after many months of planning. The market has exhibits offering everything for your Christmas shopping lists, including crafts, apparel, vintage finds, shabby chic, frames, home decor, DIY, recycled, repurposed, mobile boutiques, monogram gifts, home decor, gourmet foods, gift and garden, jewelry, toys and more. The show includes several areas with vendors and exhibits, including Jingle Bell Junction, Christmas Craft Cove and Fa La La Vintage Farmer’s Market, The Christmas Café, Shop ‘N Drop and Mistletoe Manor, with some of those areas highlighting local charities. In addition to shopping opportunities for the adults, children will have the chance to take pictures with Santa and write letters to him to update their Christmas wish list. The market also includes an area called the “Grinch’s Grotto,” a special gathering place for guys to watch games on a supersized projector screen and sit back and enjoy lunch. The market includes a festival of trees that will be auctioned off, benefiting the House of Hope. Other benefits and fundraising opportunities will continue throughout the weekend for other area charities. Additionally, there will be a ceremony for local veterans and their guests, held in conjunction with Quilts of Valor. The Jingle Bell Market will be open from 9 a.m. to 6 p.m. today and Saturday and from 10 a.m. to 4 p.m. Sunday. 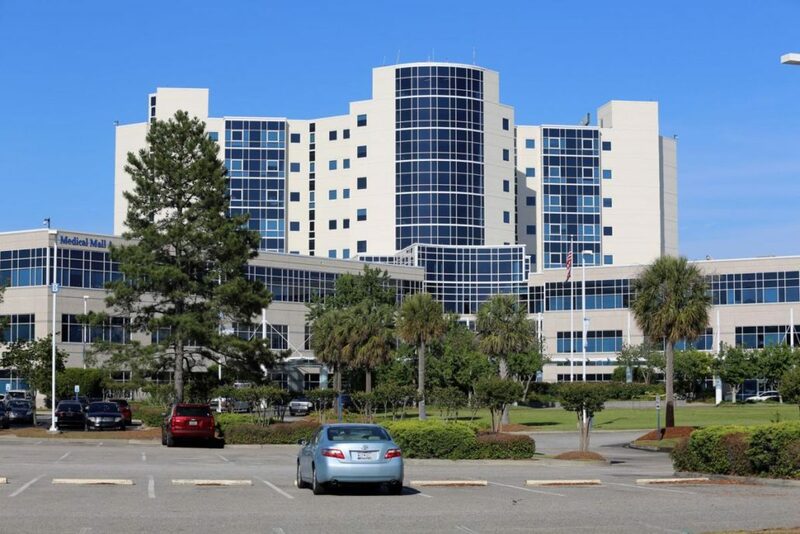 FLORENCE, S.C. — Two Florence hospitals ranked among the best in the state of South Carolina, according to a recent study. The Leapfrog Group, an independent, national not-for-profit organization founded more than a decade ago by some of the nation’s leading employers and private health care experts, published its most recent Hospital Safety Scores. Since 2012, the group has published the report cards twice a year—once in the spring and once during fall—taking into account errors, accidents, injuries and infections. Based on these criteria, both McLeod Regional Medical Center of the Pee Dee and Carolinas Hospital System in Florence were awarded an A. Both hospitals maintained A’s from spring 2018 grades that were published in April. Carolinas Hospital System chief nursing officer Costa Cockfield said the organization was pleased to receive the accolade and continues to make safety a top priority. C. Dale Lusk, M.D., chief medical officer and vice president for medical services of McLeod Regional Medical, said the recognition comes from the hard work the center puts into achieving safety for its patients. Other Pee Dee hospitals included in the study were Carolinas Hospital System- Marion (B); McLeod Health Cheraw (B); and Carolina Pines Regional Medical Center (C). Carolina Pines fell from a B in the spring to a C in the fall. Neither Carolinas Hospital System- Marion nor McLeod Health Cheraw was scored in the spring of 2018. Of the 46 hospitals that were graded in South Carolina, 14 received an A. The state ranked No. 26 in the nation with 30.43 percent of hospitals receiving an A. The top-rated state was New Jersey (56.72 percent) while Delaware, North Dakota and Washington, D.C., tied for last with no hospital receiving an A grade. The Pee Dee graded as the top region in the state, with 40 percent of its hospitals receiving A’s and another 40 percent receiving B’s. The region also had the lowest number of hospitals with five. The Upstate region was second with 38.5 percent of its 13 hospitals receiving an A; the Grand Strand was third with 33.3 percent of its six hospitals receiving an A; the Midlands fourth with 25 percent of 12 hospitals receiving an A; and the Lowcountry last with 20 percent of 10 hospitals receiving an A.
Fifty percent of Midlands hospitals received a C grade while 50 percent of the Lowcountry region received a grade of B. The Upstate had another 38.5 percent of its hospitals receive C grades. Leap Frog graded more than 2,600 hospitals nationally. 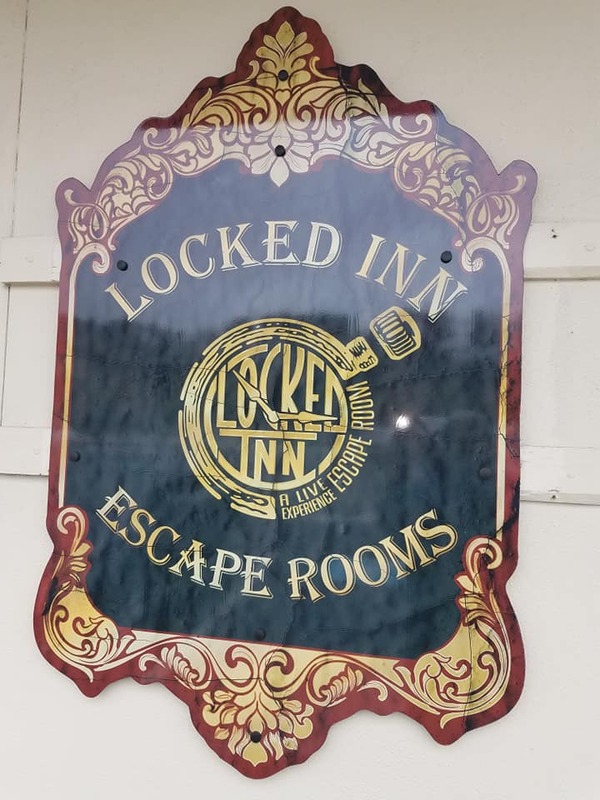 Thirty-two percent earned an A, 24 percent earned a B, 37 percent a C, 6 percent a D and just less than 1 percent an F.
FLORENCE, S.C. — Locked Inn- whose website describes it as “a Live Escape Room Experience” – moved locations in March and has enjoyed its new space with which it has expanded its offerings. The business began with a 1,000-square foot space with two rooms inside the Gould Business Incubator on the campus of Florence-Darlington Technical College. 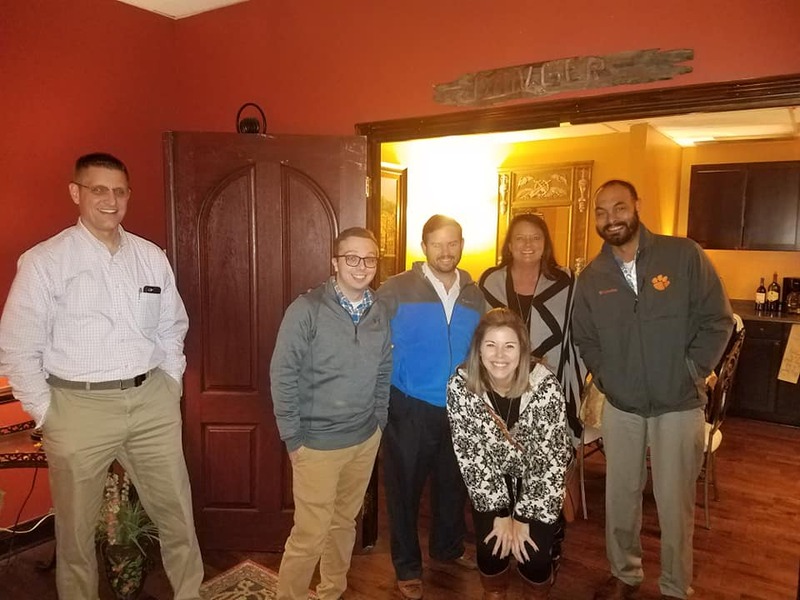 Last week, Locked Inn joined ambassadors from the Greater Florence Chamber of Commerce to hold a ribbon cutting for its new location at 214-A Dozier Blvd. For a birthday celebration, brother and sister Maureen Allen and Gavin Smith went to Charlotte, where they tried out an escape room. Allen said she fell in love with the idea and asked her brothers to join in on the venture of bringing an escape room in Florence. Escape rooms are live adventure games in which players are “locked in” a room and have to use elements of the room to solve a series of puzzles to escape. 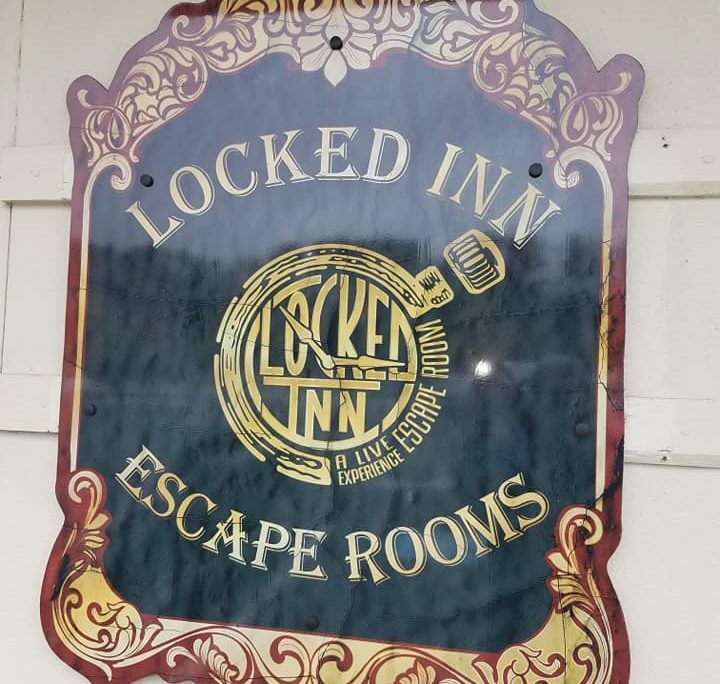 With the new location, Locked Inn has expanded to four themed rooms. Each room is fully interactive and players use their intellect to find clues and solve puzzles in an attempt to escape in 60 minutes. The rooms include Lakewood Lodge, Submerged, Bellingham Asylum and Sacred Ruins. Locked Inn hosts both corporate and group events. Those interested can book a room ahead of time at the business’s website- lockedinnsc.com. The business also has a party room that can be rented out for birthdays, anniversaries and other types of celebrations. For more information, contact Locked Inn at 843-621-8942 or email them at lockedinnsc@gmail.com.